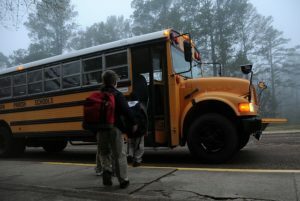 Jones Brown Law continues to report on the crash that killed three children at their bus stop in India na. Detectives in the case spoke with three individuals: the driver of the truck, Shepherd, the driver of the school bus, and the person driving behind Shepherd. Shepherd told police investigators that she had dropped her husband off at work and had three children in the back seat of her car. She continued by saying that she did not know how fast she was going, but said that she typically was a slow driver and that she was not in a hurry to get anywhere that morning. Shepherd said she was on her way to drop her brother off at her mother’s house, so he could get changed in order to go to school. Another witness who was driving behind Shepherd’s truck told officers that she saw the bus clearly. She said that she started to slow down and realized the truck in front of her was not slowing down. She said that the truck’s headlights illuminated the children as they were crossing the road. She began to freak out because she realized she was slowing down but the truck in front of her was not slowing down or stopping. The judge clarified that the witness driving behindShepherd could unequivocally see the bus when she came around the corner. Since the accident, the school district has moved the bus stop.